Lydian Chiropractic was begun in 2001 by Dr. Lydia Knutson and Fred Langenegger, PhD. 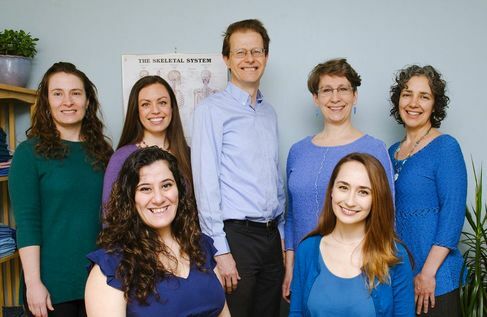 Originally a solo-doctor practice, Lydian Chiropractic has grown into a multi-doctor practice at the heart of one of the most exciting holistic health centers in the city. The Lydian Center for Innovative Healthcare, founded by Dr. Knutson in 2007, has rapidly become a national and international destination for hundreds of children and adults who have failed to get help elsewhere. Our unusual offerings of Axial Stability Method® chiropractic treatment and Energy Kinesiology, combined with our collaborative treatment plans, get people well who have been unable to get help elsewhere. The unifying principle of our approach is our shared understanding that if given the information it needs, the brain-body system will heal itself, naturally moving toward increased health and organization. Our role as practitioners is to provide this information to the best of our ability. This understanding and our sophisticated brain integration techniques give us an edge not found in many places.